A larger 6.5-inch iPhone has been rumored for 2018. However as is the case with rumors, it’s probably best taken with a grain of salt, but a recent tweet by developer Guilherme Rambo, it seems that the larger iPhone might have been confirmed in an icon spotted in the latest iOS 12 beta’s PassKitUIFoundation. Now you might be thinking, what qualifies this as the iPhone X Plus? 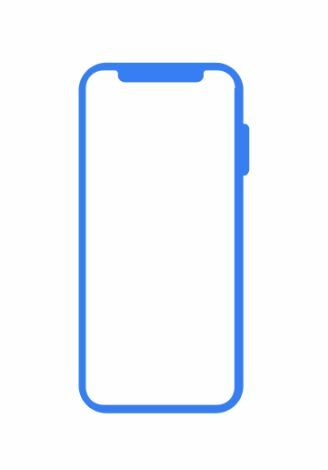 After all it is widely-believed that the 2018 iPhones will be keeping to the same design as the iPhone X, but in the iOS 12 beta, icons for the current iPhone X were also spotted which means that this icon was created to denote a different model. There are also some differences between the icons, where the iPhone X has been designed to look smaller and also slightly wider, while the iPhone X Plus is taller and also more narrow. The sleep/wake button on the side of the iPhone X Plus is also more pronounced in the icon’s design whereas the iPhone X does not show it at all. It is possible that this icon could be used to denote the 6.1-inch LCD iPhone, so it’s really anyone’s guess for now. That being said, a similar thing happened last week where icons were discovered in the iOS 12 beta that hinted at an iPad with slimmer bezels and no home button. It is expected that Apple would eventually try to bring the iPhone X’s design to the iPad and simulations have hinted that could be the case for this year’s refresh.